I have 4 White Female Pure Chihuahuas, they have some tan spots. They will have there first shots, and currently are being pad trained. The mother is pure breed Chihuahua, she is White with some tan spots, weighs 7 pounds. 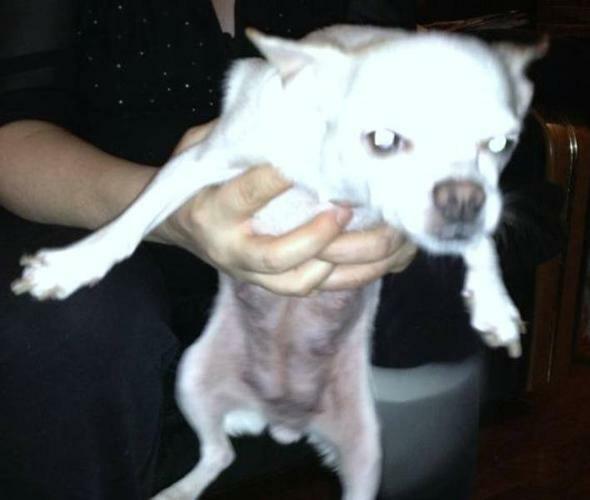 The father is a pure breed Chihuahua, he is White with some tan spots, weighs 4 pounds. POMCHI puppies ready to go january 27th. Pictures coming soon.